The food program at Wink and Nod is a series of longer-term pop-ups that rotate every six months. The current pop up is Akinto by Chef Patrick Enage, offering modern South East Asian inspired cuisine to diners in Boston. I was quite excited since it offers a big diversity in the food scene in Boston, which typically doesn't have much Indonesian, Filipino, or other South East Asian food. 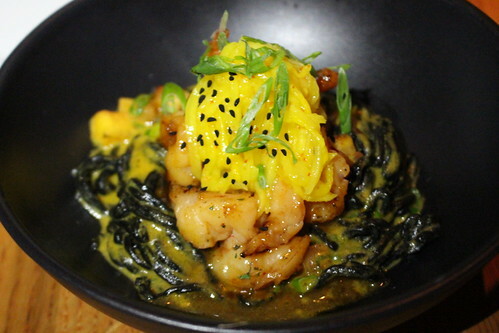 In general I love squid ink noodles but the lo mein offered a different texture compared to Italian pastas, and combined with the spice of the curry broth, the light sweetness and crunch of the prawns and a hint of sweet and sour from the mango, I thought it was both a surprising and wonderful combinations of flavors. 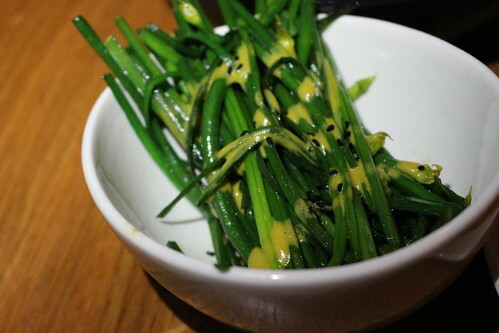 This side dish may look exceedingly simple but the crab butter was so good. I also loved this one. The swordfish belly was nicely cooked and had a great texture, but I was especially in love with the salted duck egg vinaigrette. It's such an umami bomb and I thought the slightly gritty texture was perfect to accompany the greens and the smooth fish belly, especially with the sweet kabayaki glaze. After the swordfish, this dish was a little underwhelming for me. The pork belly was very fatty and tender, though, but the pho broth didn't wow me after the salted duck egg in the swordfish. 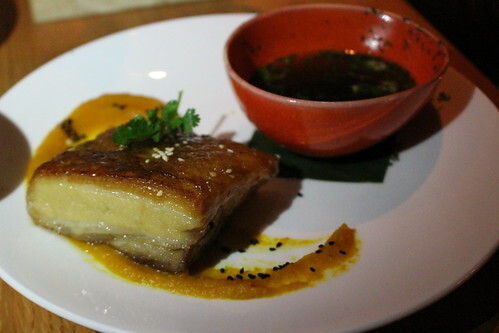 Overall I really liked my meal at the Akinto pop up. 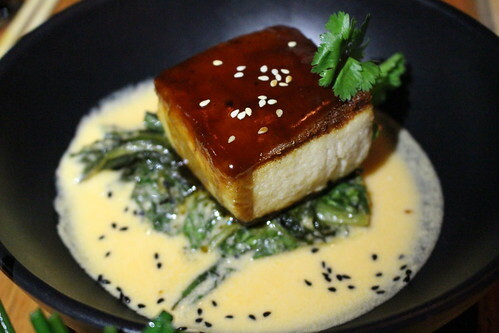 It offers much more than the usual "Asian fusion", instead I found Chef Enage had really kept the bold and forward flavors of South East Asian food, and combining them with modern food trends. The combinations he had put forward was intriguing and new. 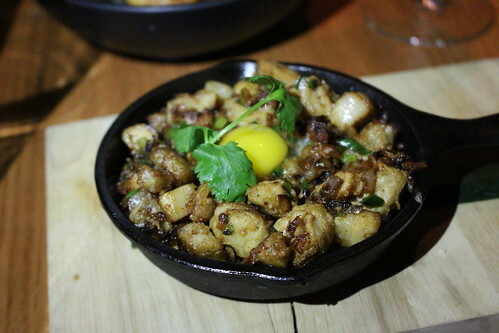 Not only is Akinto bringing South East Asian flavors that are not easily available in Boston, his twists on them are unique and worth a try. I would highly recommend you try the food before the pop up goes away in a few months!